Technically she was a passenger freighter, ordered by the Egyptian Ports and Lighthouses Administration and was built by ‘Atel & Ch de la Loise’ in France. She was launched in 1911 and a triple 3-cylinder steam engine capable of producing 229 HP and gave her e top speed of 9 knots. As other ships of those days, like the Rosalie Moller. She was not equipped with sails but solely depend on het steam engine. However, like other ships, still had the shape of a sailing ship if as she still could be converted to one. She was documented in the Lloyd’s Register of Shipping until the 1930’s, when she was removed. 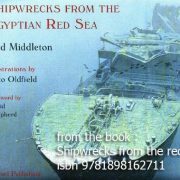 The first time she was mentioned again was in 1941 reported she had been sunk at the same time as the Rosalie Moller at Zafar Ana Anchorage, also by a Heinkel. However, it was not anchored yet and the captain was able to outmaneuver the bombs. Luckily the Heinkel did not expect that move from the ship and hit the masts and crashed. Although severely damaged the captain managed to put the ‘Aïda’ on a reef and luckily the ‘Aïda’ could be salvaged. After WW2, the ‘Aïda’ was transferred to the Egyptian marine and served as a ferry to transport troops to some remote outstations. For that purpose, the ship was at the Big Brother island on 15th of September 1957. She was carrying a total of 157 persons, including her own crew. That day the weather was pretty bad. In spite of the weather, the captain was determined to reach the jetty to drop off the soldiers and the supplies. In doing so, he hit the reef. The damage was severe and the ‘Aïda’ was immediately down by the stern and began to take on water. The captain had no choice but to send out a distress call. The Norwegian tugboat Bergehus responded immediately and managed to rescue seventy-seven of the men on board. The remainder, including the captain, managed to on shore and to safety. 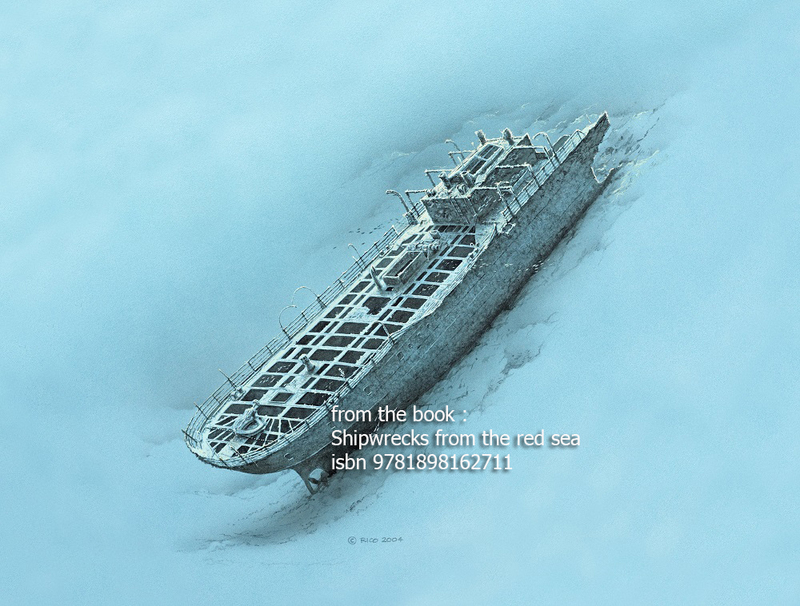 He ‘Aïda’ slowly drifted aside and got stuck on the reef while sinking. Eventually she went down. At first, she sank pinned down on a ledge at about twelve meters, she was hanging down at the very steep reef. Eventually she broke completely into two pieces with the aft falling down until the stern came to rest at a depth of fifty-six meters, with its engines still on that ledge at 12 meters. At 12 meters you will find the engines. Still it is hard to image how nature managed to get the engines onto this ledge while the rest of the wreck is in the deep. If you go down you will find the rest of the wreck at 28 meters. That is the point where the ship broke in two. The bridge was a wooden structure on top of this section and below it the accommodations. The wooden parts, as the bridge, are of course long gone. Below the accommodation there’s a large open space, scattered with pipes, valves, ladders and walkways: The remaining of the engine room. Only when you have the right training and equipment, you can go even deeper to explore the rest of the wreck, going to almost sixty meters.